WHAT Join the Fulbright Chicago community for a cross-cultural outing to the theater. An extraordinary encounter between the Mexican painter FRIDA KAHLO & the American poet SYLVIA PLATH. The work proposes a fictional crossroad between two artistic personalities, Mexican painter Frida Kahlo and the American poet Sylvia Plath. The play is an encounter that never happened in reality. The audience confronts the intense experiences of these women in the same space. Frida’s life was defined by pain and love. While recovering in bed from a terrible automobile accident suffered at an early age, she discovers painting and earns a prominent place in Mexican art. Powerful love and belief in the revolution connects her with Diego Rivera, world famous muralist whom became her husband. Marked by a stormy relationship and intense emotional and physical pain that never fades away, Frida dies at age 47. Sylvia published her first poem at age eight. Under a beautiful and seemingly perfect life reflected in her verses, underlies darkness and struggle with feelings of self-destruction that haunted her. She married the English poet Ted Hughes, an intense and tumultuous marriage that crumbled despite having two children together. Sylvia had always struggled with finding her own identity and oscillated between moments of intense joy with moments of deep darkness. At age 30, she commits suicide. Special thanks to Ana Gil-García for her support in coordinating this special outing. 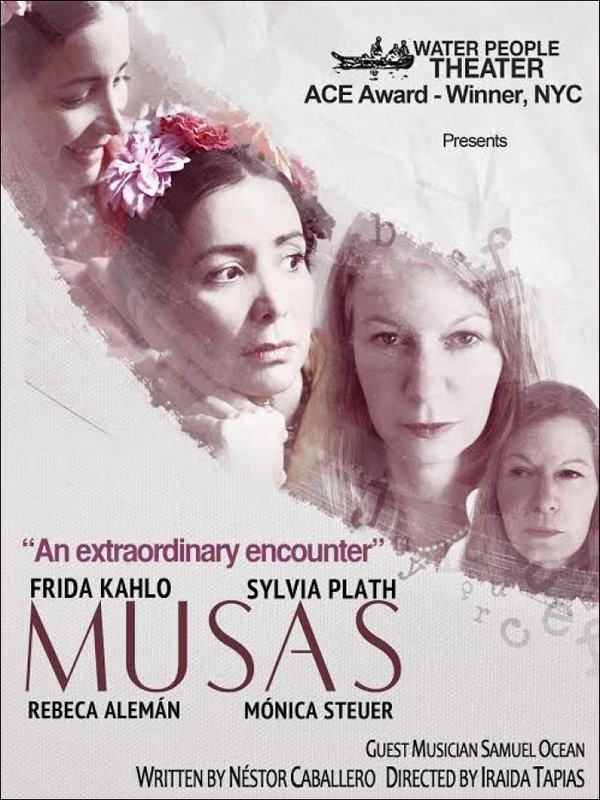 This entry was posted in Chicago events, Fulbright and tagged Ana Gil-García, Chicago, Chicago Chapter of the Fulbright Association, Events, Frida Kahlo, Fulbright, Fulbright alumni, fulbright association, Fulbright scholars, fulbright students, Greenhouse Theater Center, Rebeca Alemán, theater play. Bookmark the permalink.